Are you looking for a way to add more than just color to your hair? In some situations, you may be looking for a way to add dimension. Instead of coloring your hair a single color, you may want it to have multiple tones of color. In many ways, this can make your hair feel better, look more youthful, and even help to create a more impressive look. 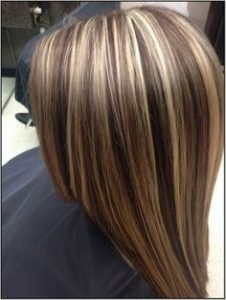 To accomplish this, you may need to choose highlights or lowlights. What are these types of treatments and what do they mean for you? It’s always best to see your hair stylist for a bit more information on how they will work for your specific needs. Lowlights are a bit different. These are less popular than highlighting your hair, but this can still be a very impressive look. The goal of lowlights is just the opposite of highlights. Here, you’ll create thick or thin strands of hair and darken them by at least two shades. That means you’ll end up with sections of your hair that are darker than the rest. This adds a lot of tone and dimension to your look. 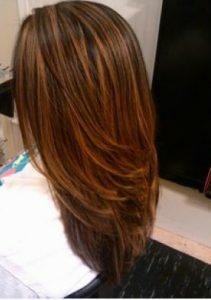 And, just like with highlights, you can choose a range of colors and darkness, creating a very beautiful finished look. 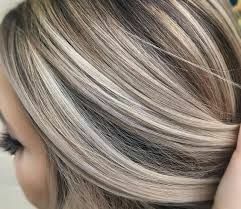 It’s always best to work hand in hand with your hair stylist to get the right combination of highlights and lowlights for your hair. And, when applying these professional level styles, always work with someone that specializes in them. That’s going to help them to really stand out and look good. You don’t want your hair to look like it is striped, after all! When you come in to see our top rated New York City hair stylists, you’ll always get the professional level of care and attention that you need.